Tamarac is a city found in Broward County, Florida with a population of about 63,800 residents. It's a part of a larger Miami-Fort Lauderdale-Pompano Beach Metro area, which is home to more than 5.6 million residents and growing every year. Not only does this area provide a home for millions of residents, but many come for just part of the year or vacation in the area. Adding a large number of part-time residents and visitors to the area makes the roads very busy and congested. It also adds in many unique driving styles and plenty of confused drivers not familiar with the roads. Broward County averages about 26,000 traffic accidents every year. The Miami Metro area averages more than 75,000 traffic accidents on a yearly basis. Many of the accidents end up causing an injury and about 200 fatalities happen on the roads of Broward County every year. Florida's Turnpike runs through the city and both Interstate 95 and Interstate 75 are found very close to the city. I-95 is known as the most deadly highway in the county, while I-75 is listed at 15th. The large number of visitors coming to the area makes the roads very dangerous. Traffic crashes throughout Miami and the surrounding area are on the rise. Officers of the law have to monitor the roads or these numbers would be far worse. Drivers in Broward County received over 195,000 traffic tickets for breaking traffic laws in 2015. More than 96,000 drivers were issued tickets for speeding and many more were given written and verbal warnings. Careless driving is the number one cause of accidents in Florida and more than 18,000 drivers were ticketed for this offense in 2015. Another 15,000 were caught running through a stop sign or red light. It's very possible to lose your license in Tamarac if you get too many tickets. The system is based on points, which come with every ticket and range from 3 to 6. If you get 12 points over a one-year timeframe, you will get a 30-day suspension. Triple that suspension if you get 18 points over 1.5 years and make it an entire year if you get 24 points in 3 years. Go ahead and get caught driving while your license is suspended and you'll land in jail for 90 days plus you'll pay up to $500 in fines. Along with the potential of a suspended license, traffic tickets may cause your insurance rates to skyrocket. This could cost you hundreds of dollars every year. It doesn't take much to end up with a suspended license in Florida. When you receive just a few tickets, you may rack up enough points. For example, get a speeding ticket for going 87 mph in a 70 mph zone, another ticket for careless driving and another one for passing a school bus that is stopped and you face a suspension. All three of these will give you 4 points each. 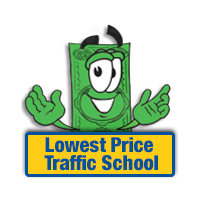 The State of Florida offers you the ability to avoid points from a ticket if you take the basic driver improvement course offered through online traffic school. This course can be completed at your own pace in the privacy of your home. Once completed, you will keep your license clean and you won't have to worry about insurance rates going up. Start by pleading no contest or guilty to the ticket and paying the fine. Tell the clerk of the court you will be attending online traffic school. Then, enroll in the basic driver improvement course and complete the course work. Pass the test and get your certificate of completion. Turn this certificate into the clerk of the court and you're all done. You have successfully protected your license by keeping points off of it and your insurance company won't be allowed to raise your rates because of the ticket. Who can Enroll in Traffic School? 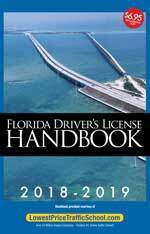 In the State of Florida, all drivers with a Florida license have the opportunity to take the basic driver improvement course up to five times. However, you can only use the course to eliminate points once every 12 months. If you haven't taken it in the past 12 months or a total of five times, you're eligible. You will pay your traffic ticket and turn in your certificate of completion from traffic school through the Broward County Clerk of the Court. Any questions you have will be answered by the clerk of the court and it doesn't matter which branch of law enforcement issued the ticket. Find out more about the Broward County Clerk of the Court at their website.